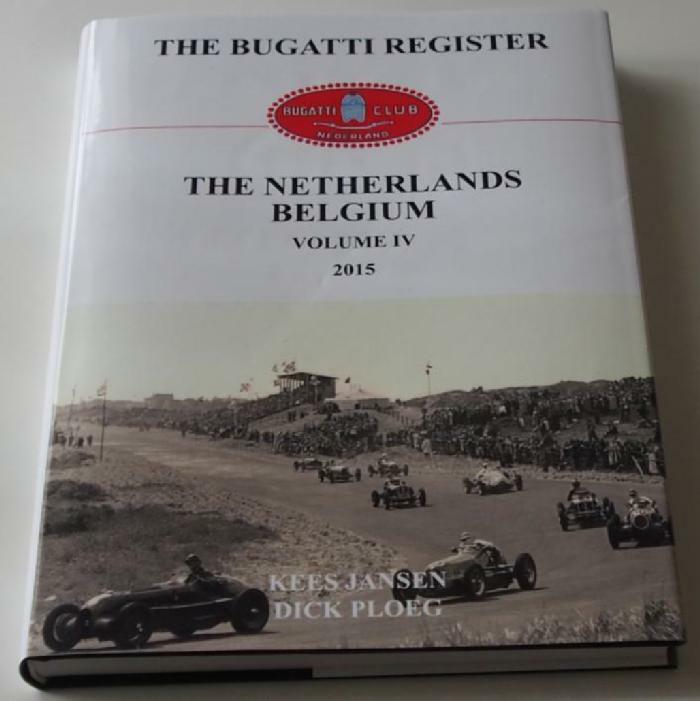 Updates on the Bugattis in Dutch races and Dutch Bugattisti in International races. An article by Kees Jansen with corrections on Volumes I and II. There is a continuous stream of new information necessitating corrections and additions. A new part with almost 200 additional cars, the majority of which have not been described before. As you will read we kept the most difficult and most controversial cars for last! The book is the same size as all three previous ones (296 pages). The quality is identical, in the best quality paper, a genuine hard linen cover and the layout is almost identical. 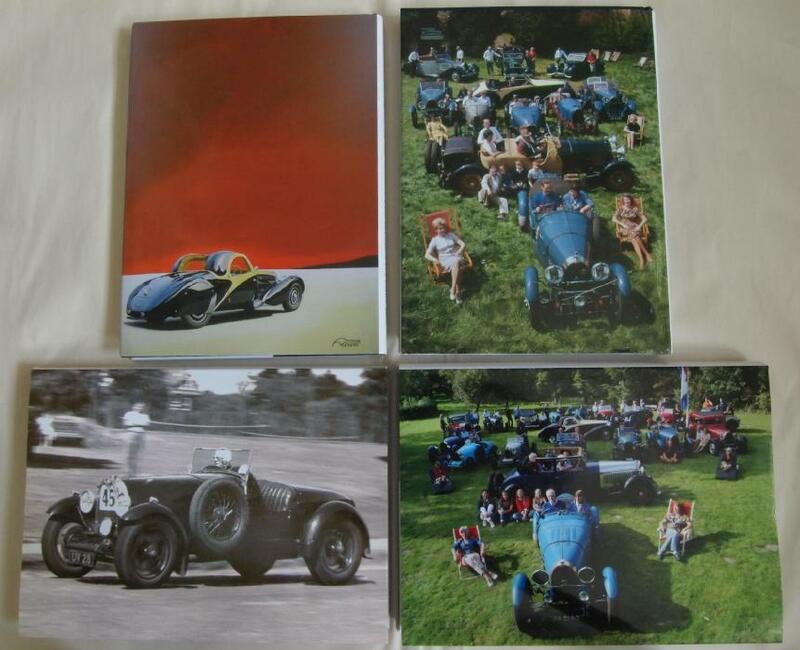 Only the best materials have been used for the book, with beautiful full colour pictures. It is one inch thick and weighs almost one and a half kilogram, three pounds. It will be clear a print like this is not cheap; however we have decided to go for the best quality material, as it was our reasoning that Ettore would not accept anything less. We are convinced that the book will keep its value and as has been our experience with the stolen copies of Vol I, which ultimately have ended up on e-bay, it will turn out to be an excellent investment. Every book is numbered and personalised with the name of the buyer. From every car a number of factory data are given with information such as body types, history, owners, and lots more. 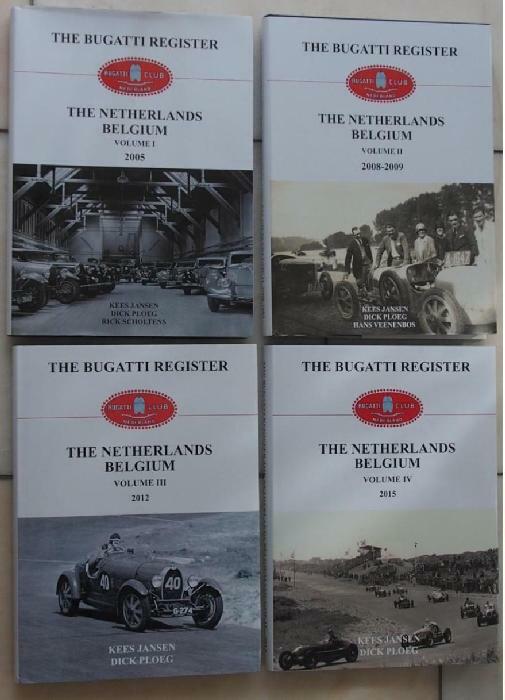 Just like in Vol I, II and III data concerning month of production, original engine number, delivery date, agent or client; all from the so called ‘ Carnets de Livraisons’ from Henri Pracht, the factory accountant, and his daughter Marguerite who kept meticulous records from all cars produced in the twenties and thirties. In addition to that all official sales prices are mentioned. These can be to agents and also to clients although it may be clear that the official factory sales prices-, which were used for the financial administration-, may differ from the price the client or agent paid as has been demonstrated from bills of sale kept by clients and kept with the car. In a number of cases data are mentioned from the factory carrosserie and engine books such as the bodies commissioned by the factory to other coachbuilders, the prices paid for these. Again this time many hitherto unpublished period photos have been included and also unique pictures from the fifties and sixties taken and kept by Jean De Dobbeleer. It is clear that there will always be incorrect information but we trust upon you to let us know if you find any, and we encourage you to supply proof of your corrections. How can you obtain your personal copy? ?